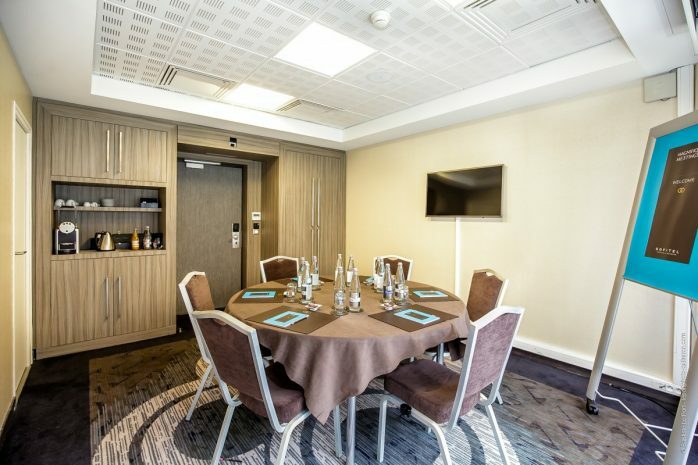 The Hoëdic meeting is ideal for a small business meeting. With its 15 sqm. bathed in daylight, it can accommodate up to 10 people in a warm and quiet atmosphere. U shape : 8 pers.